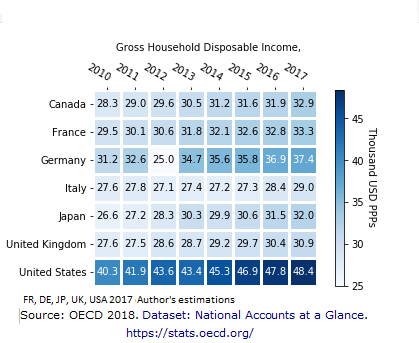 Net National Income (NNI) per capita, Household expenditures, Compensation of employees (non financial corporations) and Net Capital Stock seem to be beneficial for GDP growth. 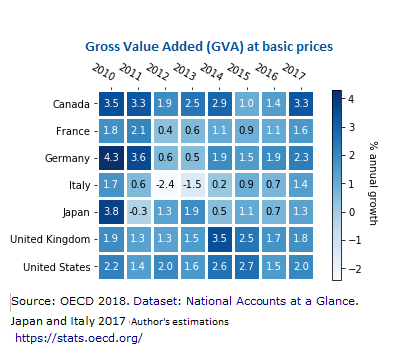 Two main predictors for GDP growth in the USA seem to be: Two main predictors for GDP growth seem to be: Net National Income (NNI) per capita and Net Capital Stock. But more information would be needed. Calculations based on Michael Pyrcz, Ph.D., Decision Tree in Python for Engineers and Geoscientists. DOCS available here. 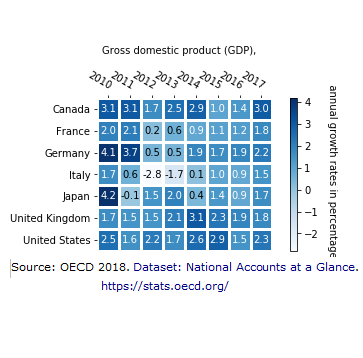 Predictors of Gross Domestic Product USA GDP (data from OECD 2018). 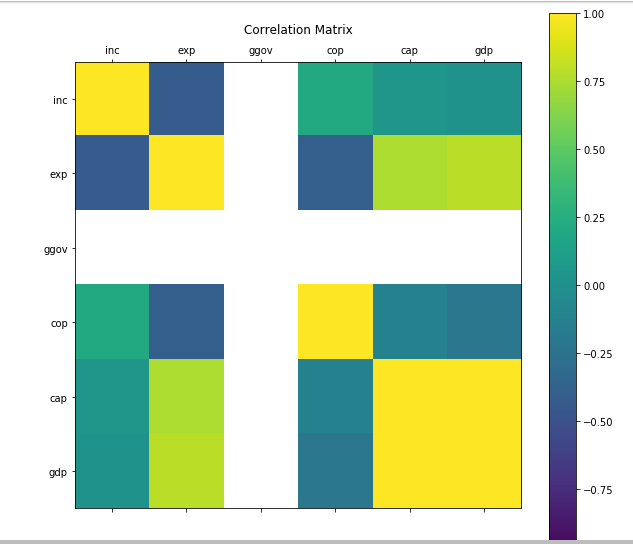 Limited mix of correlation magnitudes. 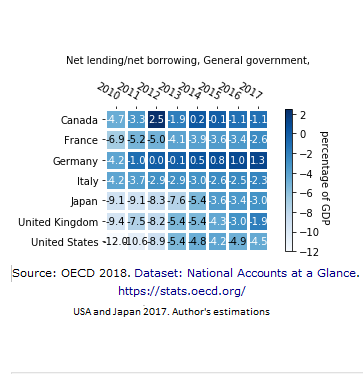 White areas represent the negative values of general government net lending/borrowings. 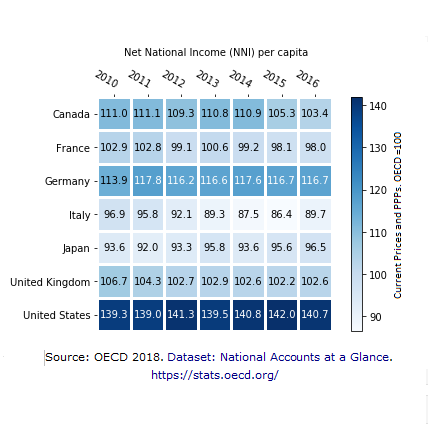 Net National Income (NNI) per capita, Household expenditures, Compensation of employees (non financial corporations) and Net Capital Stock seem to be beneficial for GDP growth (see how colors move towards the end of the scale. Yellow point). Small-N database. 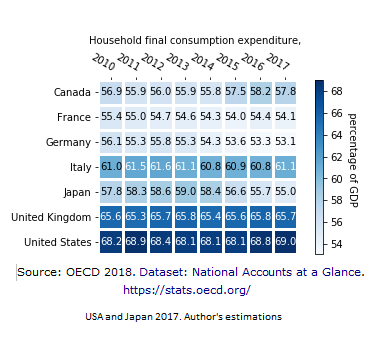 The data are, unfortunately, not completly exhaustive. More information would be needed. 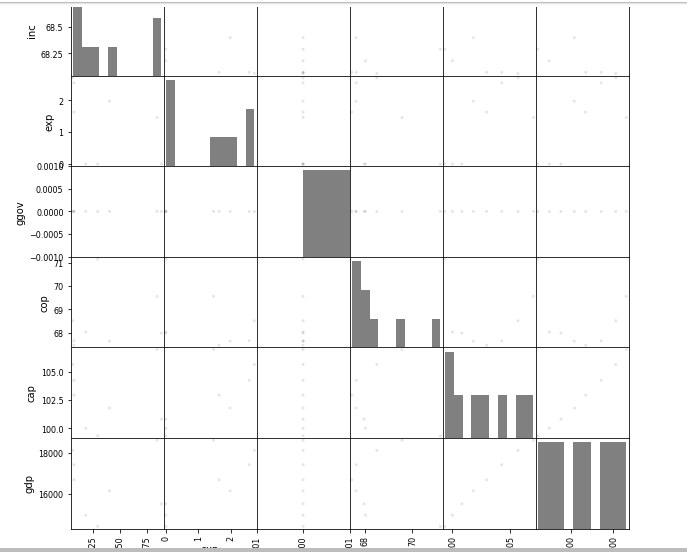 Two main predictors for GDP growth seem to be: Net National Income (NNI) per capita and Net Capital Stock. But more information would be needed.